This site was developed to povide nesting sites for the Little Tern which arrive each year, during the summer months, to breed in Langstone harbour. A deep lagoon surrounds two man-made gravel islands (North and South) which the Tern find attractive for nesting. The lagoon is refreshed each high tide through two weirs at the seaward side. These weirs additionally ensure the water level is retained at low tide. The following links are thoroughly recommended . Activity Photo Diary 2010 season. These images, ordered by date and in diary form, with background information. 3 June 2015. 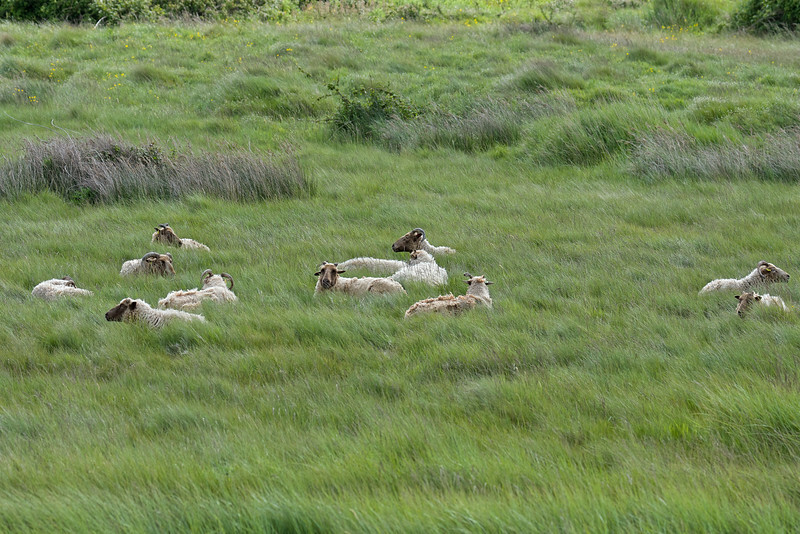 Sheep and cattle are used to control the vegetation and in this case, sheep are seen in the salt marsh area.